Yours to play now, in a galaxy of your own PC. A while back, I took at look at the beta for the new massively multiplayer game from BioWare, Star Wars: The Old Republic. Well, as of the 20th, the game is officially launched, but for the past week some lucky players have been included in the pre-launch, leveling up our characters and generally trying to get as much neat stuff as possible before the servers really fill up. Still, with some extra patch time between the last beta weekend and the official live game having passed, what’s changed about the game itself? 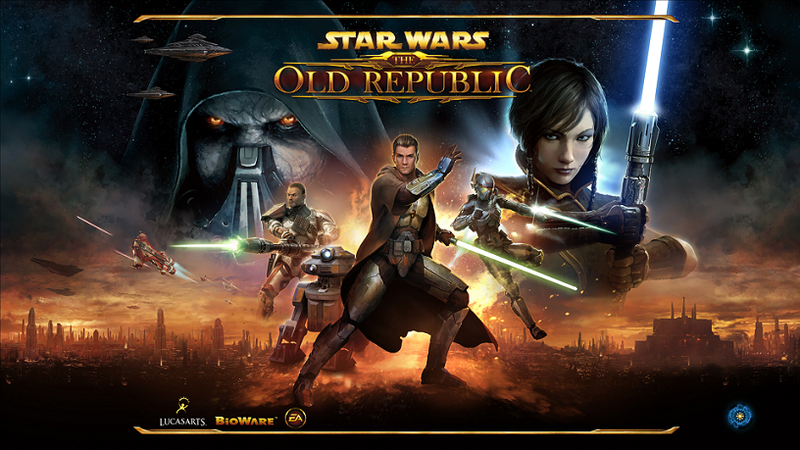 The Old Republic sure looks a lot like the movies these days. 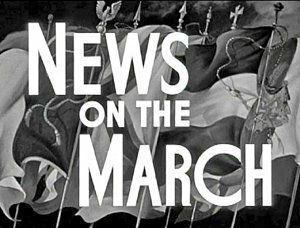 BioWare and Electronic Arts have lifted the non-disclosure agreements from the beta of their massively multiplayer online world, and the news is starting to flow about what the latest venture into the Star Wars galaxy is like. Sitting down for a day of gaming, I found myself sucked into George Lucas’ brainchild, and playing the adventure as just one more character in the persistent world that has been presented to me; the question is, how does the game look? Mario vs. PETA, Real or Headline Mongering? PETA's new campaign targets Super Mario, but why? This could quite possibly be the greatest thing ever made. 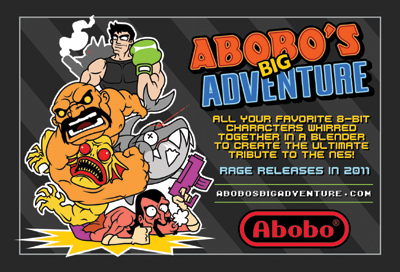 The internet has produced some incredible things, however it was with a great amount of pleasure that I stumbled across something that could only be described as the end-all, be-all of nostalgic gaming: Abobo’s Big Adventure. The game, a free flash title being developed right here is about as close to being utterly insane as I could possibly imagine. Maybe it’s the fact that I enjoy a bit of nostalgia, or maybe it’s the fact that the main character is probably the one guy who beat me up the most as a young gamer. Either way, the game simply looks incredible.